8) A wide range of pixel pitch models available: 10mm, 12mm, 16mm, 20mm, 25mm and 31.5mm. 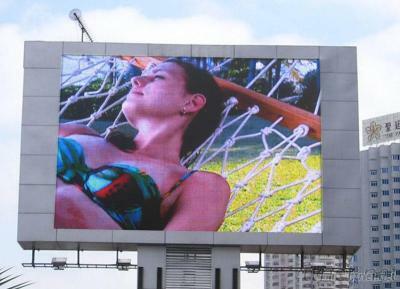 Fultape Electronics Co., Limited is specialized in development and production of LED display, LED screen, outdoor led sign, advertising led display and LED digital billboard. We have been executing rigorous quality control and kept our out of control rate <0.0001. Up to 7000, 7500 and 8000nits ultra-High brightness makes the LED display feature anti-sunlight or anti-glare and capable of display the picture and text even under extremely strong sunlight condition. High temperature resistant material on the surface of the module is also to absorb direct light, reduce glare and improve contrast ratio. IP65 rating waterproof and dustproof protection grade enable the LED display work well enough under outdoor all weather environment and bad condition with dust.